Rationale: May minimize urinary retention/overdistension of the bladder. Rationale: High urethral pressure inhibits bladder emptying or can inhibit voiding until abdominal pressure increases enough for urine to be involuntarily lost. Rationale: Useful in evaluating degree of obstruction and choice of intervention. Rationale: Urinary retention increases pressure within the ureters and kidneys, which may cause renal insufficiency. Any deficit in blood flow to the kidney impairs its ability to filter and concentrate substances. Percuss and palpate suprapubic area. Rationale: A distended bladder can be felt in the suprapubic area. Rationale: Increased circulating fluid maintains renal perfusion and flushes kidneys, bladder, and ureters of “sediment and bacteria.” Note: Initially, fluids may be restricted to prevent bladder distension until adequate urinary flow is reestablished. Rationale: Loss of kidney function results in decreased fluid elimination and accumulation of toxic wastes; may progress to complete renal shutdown. Rationale: Reduces risk of ascending infection. Rationale: Promotes muscle relaxation, decreases edema, and may enhance voiding effort. Rationale: Reduces the size of the prostate and decreases symptoms if taken long-term; however, side effects such as decreased libido and ejaculatory dysfunction may influence patient’s choice for long-term use. Rationale: Studies indicate that these drugs may be as effective as Proscar for outflow obstruction and may have fewer side effects in regard to sexual function. Rationale: Relieves bladder spasms related to irritation by the catheter. Rationale: Suppositories are absorbed easily through mucosa into bladder tissue to produce muscle relaxation/relieve spasms. Rationale: Given to combat infection. May be used prophylactically. Rationale: Relieves/prevents urinary retention and rules out presence of ureteral stricture. Coudé catheter may be required because the curved tip eases passage of the tube through the prostatic urethra. Note: Bladder decompression should be done with caution to observe for sign of adverse reaction, e.g., hematuria (rupture of blood vessels in the mucosa of the overdistended bladder) and syncope (excessive autonomic stimulation). Rationale : Prostatic enlargement (obstruction) eventually causes dilation of upper urinary tract (ureters and kidneys), potentially impairing kidney function and leading to uremia. Rationale : Urinary stasis potentiates bacterial growth, increasing risk of UTI. Rationale: May be indicated to drain bladder during acute episode with azotemia or when surgery is contraindicated because of patient’s health status. Rationale: Inflation of a balloon-tipped catheter within the obstructed area stretches the urethra and displaces prostatic tissue, thus improving urinary flow. 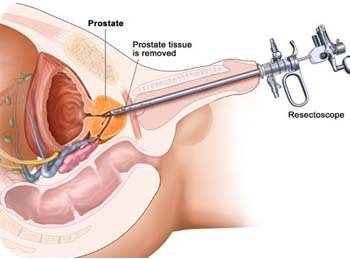 Rationale: A procedure of almost equivalent efficacy to transurethral resection of the prostate (TURP) used for prostates with estimated resected tissue weight of 30 g or less. It may be performed instead of balloon dilation with better outcomes. Procedure can be done in ambulatory or short-stay settings. 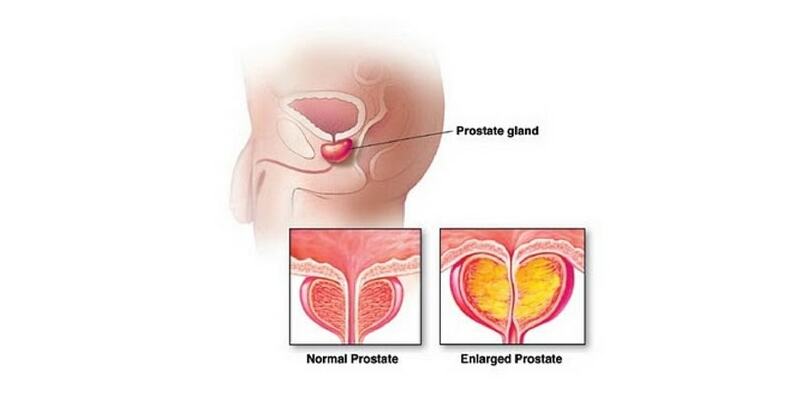 Note: Open prostate resection procedures (TURP) are typically performed on patients with very large prostate glands. Rationale: Heating the central portion of the prostate by the insertion of a heating element through the urethra destroys prostate cells. Treatment is usually completed in a one-time procedure carried out in the physician’s office. Rationale: Provides information to aid in determining choice/effectiveness of interventions. Rationale: Prevents pull on the bladder and erosion of the penile-scrotal junction. Rationale: Bedrest may be needed initially during acute retention phase; however, early ambulation can help restore normal voiding patterns and relieve colicky pain. Rationale: Promotes relaxation, refocuses attention, and may enhance coping abilities. Rationale: Draining bladder reduces bladder tension and irritability. Rationale: Aids in evacuation of ducts of gland to relieve congestion/inflammation. Contraindicated if infection is present. Rationale: Given to relieve severe pain, provide physical and mental relaxation. Rationale: Reduces bacteria present in urinary tract and those introduced by drainage system. Rationale: Rapid/sustained diuresis could cause patient’s total fluid volume to become depleted and limits sodium reabsorption in renal tubules. Rationale: Patient may have restricted oral intake in an attempt to control urinary symptoms, reducing homeostatic reserves and increasing risk of dehydration/hypovolemia. Rationale: Enables early detection of and intervention for systemic hypovolemia. Rationale: Decreases cardiac workload, facilitating circulatory homeostasis. Rationale: As fluid is pulled from extracellular spaces, sodium may follow the shift, causing hyponatremia. Rationale: Replaces fluid and sodium losses to prevent/correct hypovolemia following outpatient procedures. Embarrassment/loss of dignity associated with genital exposure before, during, and after treatment; concern about sexual ability. Rationale: Demonstrates concern and willingness to help. Encourages discussion of sensitive subjects. Rationale: Helps patient understand purpose of what is being done, and reduces concerns associated with the unknown, including fear of cancer. However, overload of information is not helpful and may increase anxiety. Maintain matter-of-fact attitude in doing procedures/dealing with patient. Protect patient’s privacy. Rationale: Communicates acceptance and eases patient’s embarrassment. Rationale: Defines the problem, providing opportunity to answer questions, clarify misconceptions, and problem-solve solutions. Rationale: Provides knowledge base from which patient can make informed therapy choices. Rationale: Helping patient work through feelings can be vital to rehabilitation. Rationale: May be an unspoken fear. Rationale: Some patients may prefer to treat with complementary therapy because of decreased occurrence/lessened severity of side effects, e.g. impotence. Rationale:May cause prostatic irritation with resulting congestion. Sudden increase in urinary flow can cause bladder distension and loss of bladder tone, resulting in episodes of acute urinary retention. Rationale: Sexual activity can increase pain during acute episodes but may serve as massaging agent in presence of chronic disease. Note: Medications such as finasteride (Proscar) are known to interfere with libido and erections. Alternatives include terazosin (Hytrin), doxazosin mesylate (Cardura), and tamsulosin (Flomax), which do not affect testosterone levels. Rationale: Having information about anatomy involved helps patient understand the implications of proposed treatments because they might affect sexual performance. Rationale: Prompt interventions may prevent more serious complications. 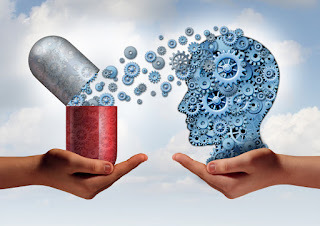 Rationale: Reduces risk of inappropriate therapy, e.g., use of decongestants, anticholinergics, and antidepressants, which can increase urinary retention and may precipitate an acute episode. Rationale: Recurrence of hypertrophy and/or infection (caused by same or different organisms) is not uncommon and requires changes in therapeutic regimen to prevent serious complications.